Customer experience has become an essential part of any company's success, but arguably more so in Business to Business (B2B). 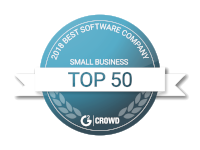 Not only is it critical to growth, but it can lead to increased efficiency, happier customers, and higher profitability. The term "customer experience" seems to be the latest buzz word, but in reality the concept is quite simple and when applied to all aspects of your business, it can be the differentiating factor between you and your competitors. 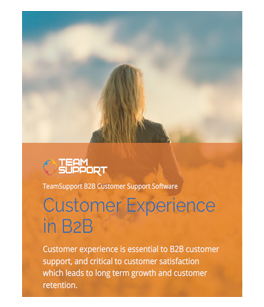 Understand why customer experience is even more important in B2B, the part it plays in B2B growth, and how to improve the customer experience in this eBook from B2B customer support software leader TeamSupport.